The FHA loan program has helped millions of buyers unlock the door to homeownership over the years through minimum down payment mortgage options. With the recent housing market crash about five years ago, options for 100% home financing have pretty much evaporated. In fact today there are only a few mortgage options in Florida that permit 100% financing – USDA and VA. USDA loans require the property to be a rural area, VA loans are only reserved for military buyers. But there is one other “off the radar” option for 100% financing here in Florida, that program is the FHA HUD $100 Down Program. Many buyers are not aware that FHA & HUD have a special $100 down mortgage program, mainly because this is a specialty program. In fact very few lenders and banks specialize in and offer the HUD 100 down program. To begin we need to discuss what exactly is a HUD owned home. A HUD home is a house that has been foreclosed on that had buyers that originally used FHA insured financing to purchase the property. The homeowner could not make the payments for whatever reasons and the lender was forced to foreclosed on the house. HUD then reimburses the lender for what is owed to the lender and HUD takes ownership of the property. Once HUD assumes ownership they will start the marketing process and prepare the property for sale. It is then listed with a local HUD approved Real Estate Broker. This is when the property is made available to the public for sale! Ok, now to the good part, the HUD 100 Down Payment Program. To be able to take advantage of this great program you will have to use FHA financing to purchase the property. The normal down payment for a FHA home loan is 3.5%, max 96.5% financing. The main reason HUD offers the $100 down payment program is to sell HUD foreclosed homes fast and quickly get owner occupant into the homes. They believe people who own their home will take care of it better than a renter thus improving the overall neighborhood. This program is only for people who are going to buy the homes to live in. The HUD 100 down program is not for investors or vacation homes. Homes that are being sold by other sellers ARE NOT eligible, please note this. It is important for buyers to understand this program is only available for HUD owned properties. Florida homebuyers can find a complete list of approved HUD owned homes in your area by clicking here. So what are the great benefits of the Florida FHA HUD 100 down program? Flexible credit qualifying under normal FHA Guidelines. Low secure fixed interest rates, just like the regular FHA program. $100 down payment instead of the usual 3.5% minimum FHA requirement. Eligible for up to $5,000 in escrowed repairs. HUD can also pay buyers closing costs as part of the contract negotiations. Even though buyers only have to pay $100 down payment, they will still need a earnest money or “good faith” deposit when their contract is accepted. 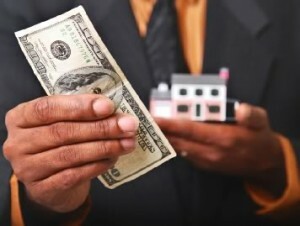 HUD requires a buyer to submit with the purchase contact earnest money of $1,000 if the purchase price is over $50,000 and $500 if the purchase price is under $50,000.00 This is pretty much standard for other houses and loan programs as well. Florida homebuyers that have questions about the HUD 100 down program, or would like to apply – please call us at 800-743-7556 or just submit the quick Info Request Form on the right side of this page. Mobile users will find the Info Request Form here.